The tax environment for all professional practices including medical practices can be complicated. Tax deductions generally are expenses directly incurred to earn income or run a business. They can’t be Capital, Private or Domestic. For a Doctor running their business as a sole Practitioner through an entity like a Company or Trust, most but not all expenses incurred in running that entity are tax deductible because this type of business is considered to be a Personal Services Income (PSI) Entity. Whilst the Practice may be a Company or other entity, the Tax Office does not consider a practice with a sole practicing Doctor’s to be a business because there is only one income earning Doctor. Expenses specifically excluded by the tax office as deductions for PSI entities are all forms of remuneration to any associates for non-principal work. These include, wage payments and superannuation contributions. This means these types of entities can’t employ spouses, children or relatives if they are not directly involved in generating the Practice’s income via medical services. So, spouses providing bookkeeping or administration services are not permitted to be paid by the Medical Practice. Expenses like bookkeeping (by an unrelated person), rent and upkeep of a Practice building, medical and office supplies, professional insurances and wages would be all tax deductible. Motor vehicle expenses incurred in carrying out the Professional duties, of the principal Doctor, such as visiting patients or hospitals, are allowable. 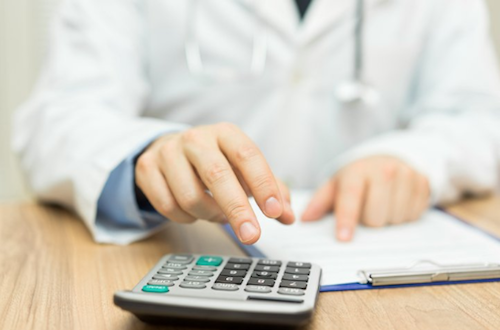 However, expenses incurred traveling from home to a Medical Practice’s location would not be allowable as a tax deduction, even if the Doctor works at home on the Practice’s books or accounts – or if the doctor has-to carry sensitive Medical equipment. The tax office considers one’s home location a private choice and argues that, if the Doctor lived closer to the Practice location, they would not be required to spend money on transport to travel to work. Doctors running PSI entities are also able to make tax deductible superannuation contributions for themselves and their non-associated staff and claim those superannuation contributions in their Company’s income tax return. The deductible superannuation contributions are limited currently to $25,000 per annum. All of the Practice Income after allowable deductions (Practice Profits) generally must flow to the income earning doctor and cannot be split through non-Service Trust arrangements or retained by the Practice Company and pay lower Company tax. A Service Trust is a trust which is established to provide Services to the Practicing Doctor/s PSI entity and are still a legitimate option. These Trusts incur some or the Practice’s expenses and then charge those expenses to the PSI Entity at a commercial mark-up or deemed by the tax office. If done on a strictly commercial basis, the profit of the Service Trust may then be distributed to individuals other than the doctor. It may seem that setting up a separate structure to ‘manage’ the day to day running of the practice is an added level of complication if, at the end of the day, the profits will all flow back to the medical practitioner anyway, however, there are many sound reasons to do so which are dependent on each individual doctors needs and situation therefore outside the scope of this blog. The tax office has issued guidelines in the past which state that, if the Doctor in such an entity pays enough salary to either transfer all of the Practice profits to themselves or to ensure that their average personal income tax paid on wages equates to a tax rate of 30% or more (roughly $180,000 gross wage), then the arrangement would be a “low-risk audit” target. NB: The tax office is currently reviewing its guidelines and is expected to release their update on this soon. Broadly, if there are two or more Doctor’s working in the Practice, the Tax Office will probably agree that this is a regular business rather than a PSI Business, because the Practice is not relying on the patient fees from only one Practicing Doctor. The expenses incurred to run the business would then be tax deductible. Associates could also be employed by the business for administrative functions, provided they were commercially remunerated. This means they would be paid as if they were completely unassociated to the Practice Doctors. Motor vehicle expenses incurred in carrying out the duties of the Business are also allowable. However, expenses incurred from a Doctor’s home to a Medical Practice’s location would not be allowable as a tax deduction for the reasons given above. However, because the business may involve more administrative duties, expenditure on motor vehicles may legitimately increase. The tax office issued guidelines as to how the profit of the Practice’s Business should be split to ensure that that business was a low tax-audit risk. The guideline stipulated, among other things, that if the Doctor’s gross salary was around the $180,000 mark (or 30% average tax), the remainder of the income could be “split” or retained in the Practice Company and pay the Company rate of income tax (as low as 27.5%). Unfortunately, those guidelines were withdrawn during 2017 and there are now no clear tax guidelines. NBC believes though that Medical Practices will continue to be “low-risk audit targets” if they broadly comply with the withdrawn guidelines. 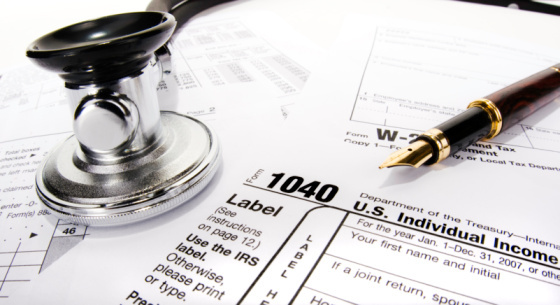 The tax rules for Medical Practices are detailed and complex. NBC are experts in this field and advice should be sought from us when either considering setting up a practice or bringing Doctor’s tax knowledge up to date. To find out more, contact NBC at www.nbc.com.au or email mail@nbc.com.au.